SACRAMENTO, CALIF. (November 8, 2017) – Today, dozens of students, parents, grassroots organizations and education leaders from across the state join at the State Board of Education hearing one more time to make clear that school climate is the heart of education. The State Board of Education has yet to make school climate a top priority for the Local Control Funding Formula (LCFF), California’s public school fair funding system. The state delayed a decision on school climate and conditions surveys from September to November, and will now be delaying its decision yet again. As a result, annual school climate surveys will be implemented every other year, making it the only measure that is not required on an annual basis. Yet, hundreds of students, parents, teachers and other stakeholders have urged the SBE to make surveys that assess school climate and conditions a central and powerful tool for equity, whole-child education, and student success. Surveys provide the most significant data on school climate for schools. Because school climate shifts as schools welcome new students and staff, and adopt new practices, data are only useful for continuous improvement if they are collected at least annually. Annual surveys are quite practical, given that the vast majority of districts have already been administering the state-subsidized California Healthy Kids Survey (CHKS) for more than a decade, and close to 200 districts do so annually. 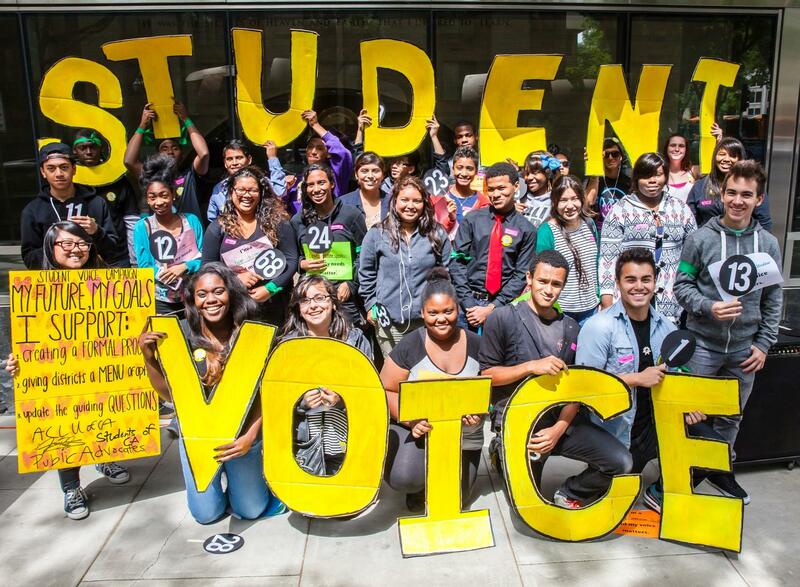 “When you make school climate a priority, you make homeless youth feel supported; you make sure foster youth don’t fall through the cracks…you make sure that 2 million students that do not have a single caring adult, have that adult in their lives,” states Alena Cotton from Fresno, a student leader with Californians for Justice. School climate has a significant impact on student performance and academic achievement, equally to or even more so than academic resources. A recent report from Berkowitz et al (2016) reviewed 78 school climate studies going back to the year 2000. The report found that “a more positive school climate is related to improved academic achievement, beyond the expected level of achievement based on student and school socioeconomic status backgrounds,” and can mitigate the negative effects of poverty on academic achievement. In order to reach education equity and ensure that students have the school conditions, resources and support they need to succeed, school climate cannot be neglected any longer, rather, students and parents are urging that this be the “year of school climate.” As part of today’s efforts, students, parents, and organizational leaders will be meeting with California legislators to ensure that they stand by and support LCFF with more resources and funding, especially to further invest in school climate measures, including the annual surveys.